Can someone help me with how to use the X1 OC tool. After I run scan do I update the clock with the new score and then hit apply or do I hit apply after the scan then save the result to a save slot? I am curious about this as well. I frankly have no idea whatsoever. This is interesting, never really knew/understood what this was about. 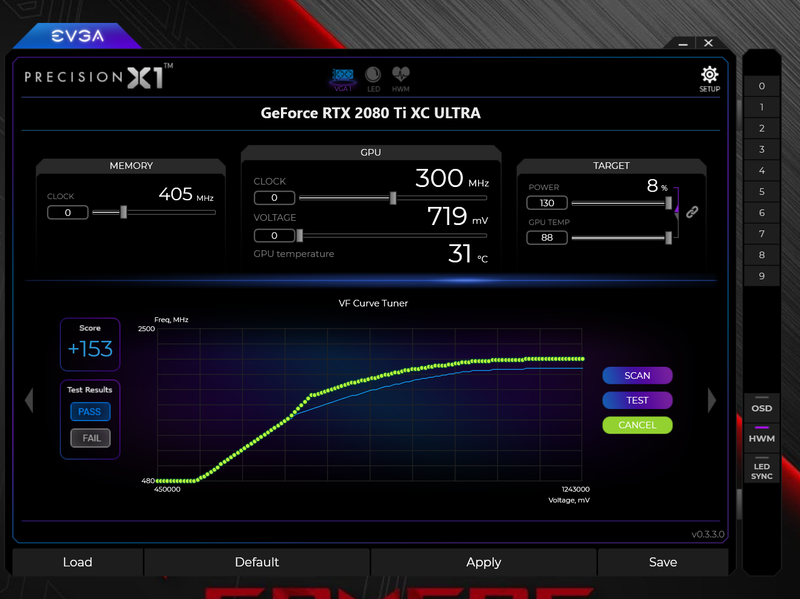 Why is my 2080Ti FTW3 Ultra now reading it as a regular eVga 2080Ti now with the beta version of Precision XI? Never mind. Processor Intel® Core™ i9 7960K CPU 2.8GHz@4.7ghz, Memory 32GB GSkill Trident Z RPG 3000 Ram, WDS100T3X0C-00SJG0 1Tb M2, Motherboard eVga Dark x299, Operating System Windows 10 Pro 64-Bit, eVga 2080TI FTW3 Ultra 11GB , Monitor Acer X27 Predator , Logitech G910, Razer Lancehead Tournament Edition,Thermaltake View 71 RGB, eVga SUPERNOVA 1600 T2 PSU, EK-KIT X360. Highest boost I got was like 2115. Got a Pass with score of around 116 I think. I did not try to save to anything, should I have? Would that make any difference on how it does in a game? I am unclear how to OC a video card too. What do I do with this scan data to OC the video card? Thanks. +153 would be what you input into the core clock. Thanks. Is it the 1650 boost clock + 153? I have seen this card at 1985 already in a gaming session. That’s what’s confusing to me. Appreciate your help. The +153 is added onto whatever your card actually boosts to at stock. Thanks. I’ll fiddle with it and see how it goes. this was my best graphics score with the precision x1 when i first clocked it, I game with lower clocks however. GRAPHICS SCORE for TIMESPY EXTREME = 7498 so... like 7500 which is way higher than the dude above here that had a 7277 or something. I lower the clock because for Firestrike Extreme the core has to be tuned down to 74, so I just leave it @80 for games. Haven't had a problem yet. I also noticed that you can get higher scores if you open the Tower case. Oh and if you have extra fans blowing into the factory fans it clocks a little higher too, but I never got it to boost over 100core and stable..always power limited, according to the GPU-Z utility which indicates the Performance Capacity Limiting Factors. Question. Can I use this PX1 with my EVGA 1080Ti FTW3 Hybrid? and have the same features as the the PXOC? PX1 is suppose to replace XOC, so I would hope so. You'll have to poke around in the software to see for yourself. Thank You. 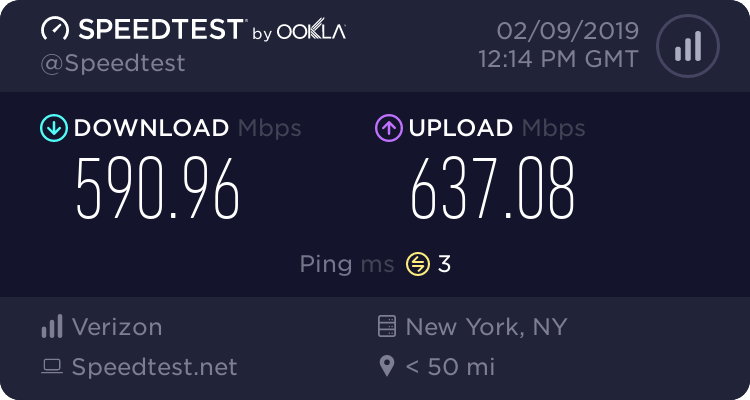 I guess I will start testing that tomorrow, I don't want to ruin my gaming tonight, spending time on software. I finally figured it out too. But this program has no documentation, and the UI isn't intuitive. Frankly, I've avoided EVGA tools and used MSI Afterburner because you can actually understand what's going on with their layout and tooltips. Your frequency and voltage curve won't load when you load your profile unless the UI is on the VF Curve Tuner page - a page that isn't he default when you load the program. I'll have to try that when I get home. I did the Curve Tuner and it didn't seem to do anything after I applied the +116 it suggested. Well after spending about an hour on the phone combined with 2 different people at EVGA support I was left with the impression that they really didn't KNOW the most recent X1 Precision software. One guy put me on hold for like 10min and quickly try to learn how the software works. I am still unclear if the changes I made were taking effect after running the VF Tuner scan that after it completes only give me a score (+53) in my case. This software has NO instructions and after making changes REALLY does not give you any response in terms of "your changes have been saved" or ANY other type of visual confirmation. Watching an "overview" video of the X1 software by Joseph w/ EVGA he seemed to spend more time going over how to change the LEDs than actually explaining how to COMPLETE changes to the software. Finally I run into a thread that partially explains how to use this software. Unfortunately it's been a while since the last update. uninstall it and download msi after burner. I uninstalled this piece of crap after two days of trying to get it to do a Scan. Two or three minutes after I hit the Scan button a small window pops up with a message that means nothing to me, no explanation anywhere about what it means, then I get a fail in the pass or fail finally. I have a GTX 1080 Ti water cooled. When I tried to do an overclock manually my system crashed so I obviously don't know how to do it. so I really want a solution on how to use it properly without facing an error. What is the error that you are getting? Can you post a screenshot of this error? If every time that we scan and the score that we get is what we have to put on the core clock... doesn't that kinda ruin the point of having a VF curve? Reason why I can't use this software is because there is no clear documentation of what we have to do. At least with MSI Afterburner after you scan it, you just save it and you're done. It'll load every time the program launches.